Mold can hide in a variety of places, and will not make itself known very easily until the growth has overtaken an overwhelming amount of space. That's why it is important to hire the water restoration professionals with the most experience and training, like our wonderful team at SERVPRO. They know where to check for mold, and how to treat potential growth spots before it happens. 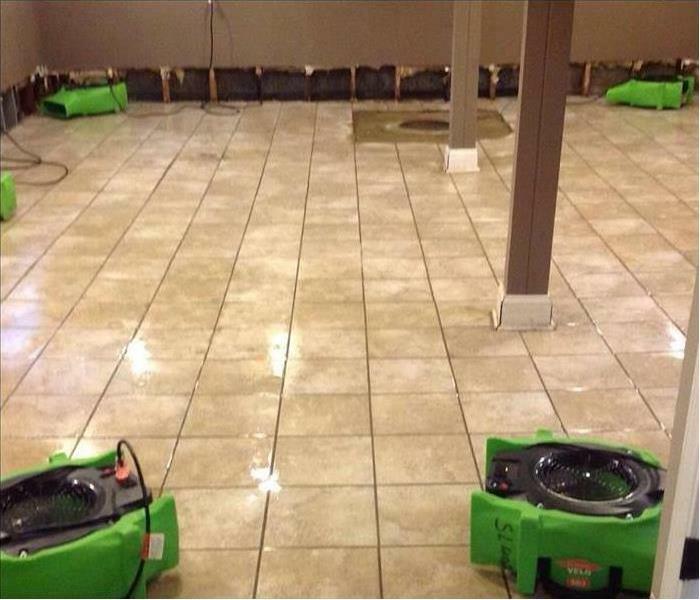 Save yourself time and money by calling SERVPRO whenever dealing with water damages in your home or business. Our SERVPRO Professionals are highly trained, and have many years of experience, when it comes to identifying and mitigating water damages. 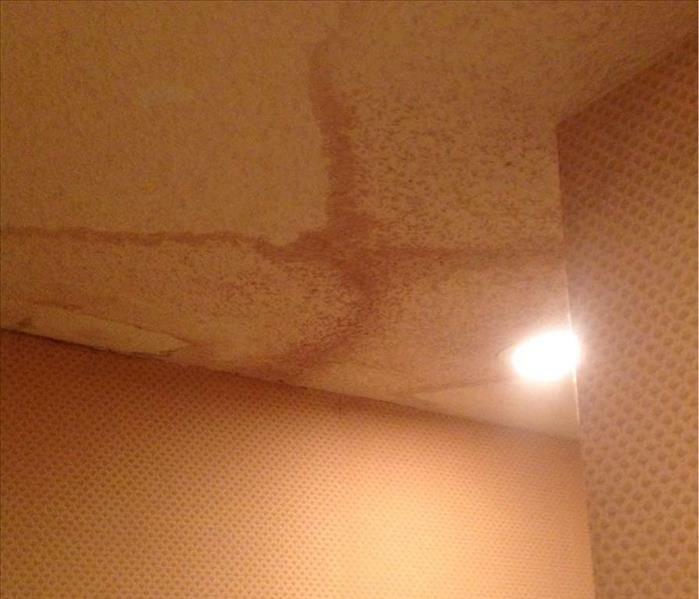 Some signs of water damage are easily spotted, while others are more subtle. Our experts can use the latest technology to quickly determine any water damage issues within your home, and then determine the best plan of action for any restoration that may be needed. 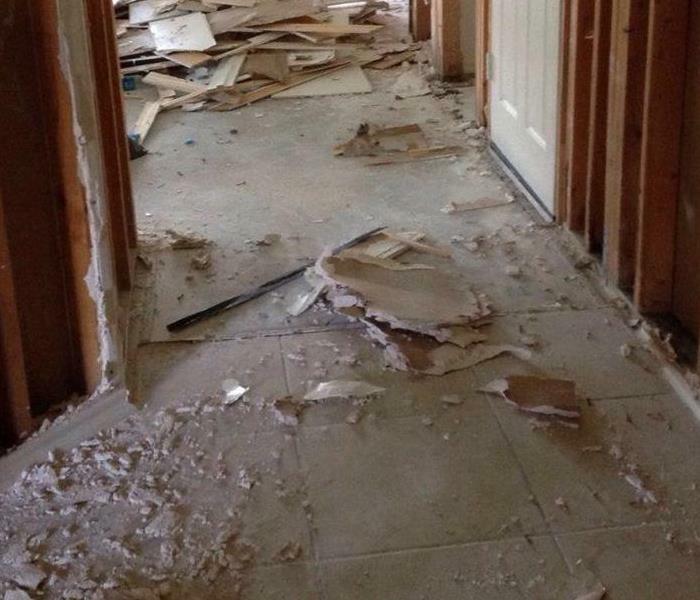 It is estimated that Hurricane Harvey damaged over 200,000 homes. 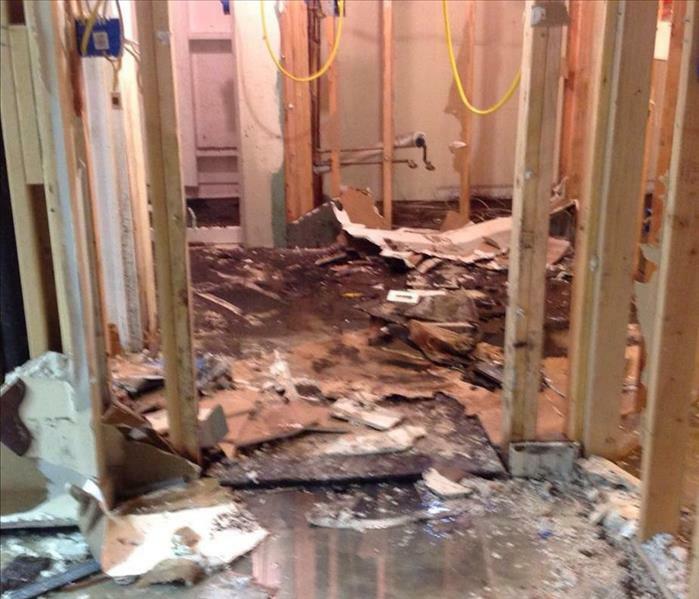 When a house has been flooded there are several steps a restoration team must take in order to get the home clean and dry again. 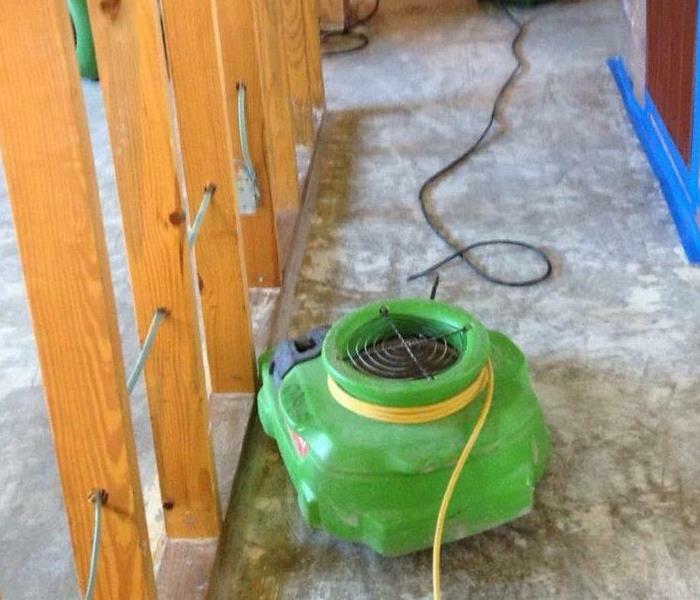 This includes removing the soaked portions of the wall, and then using air movers and dehumidifiers to remove any remaining moisture. 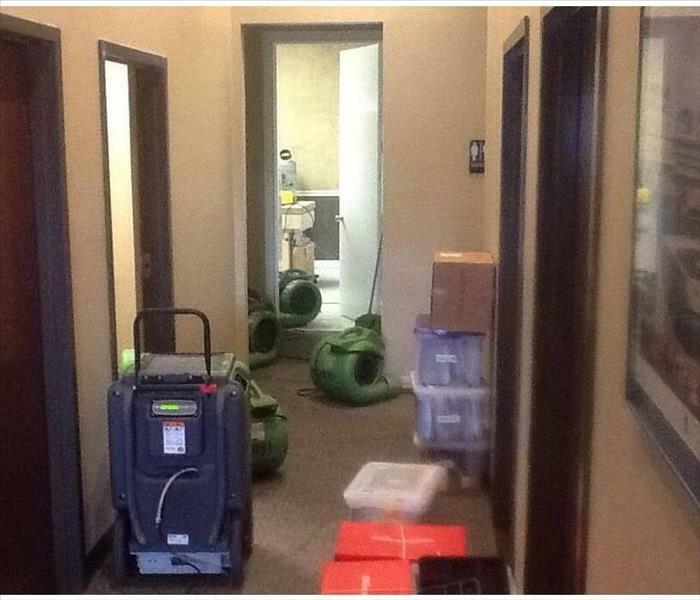 Our experts were able to quickly begin the drying process in order to get this water damaged conference room back to normal as soon as possible. 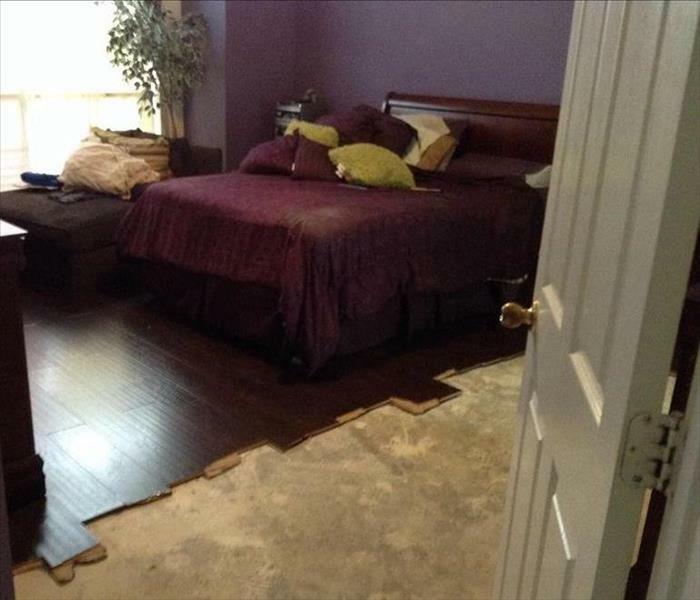 Check out our Before/After photos to see the end result. 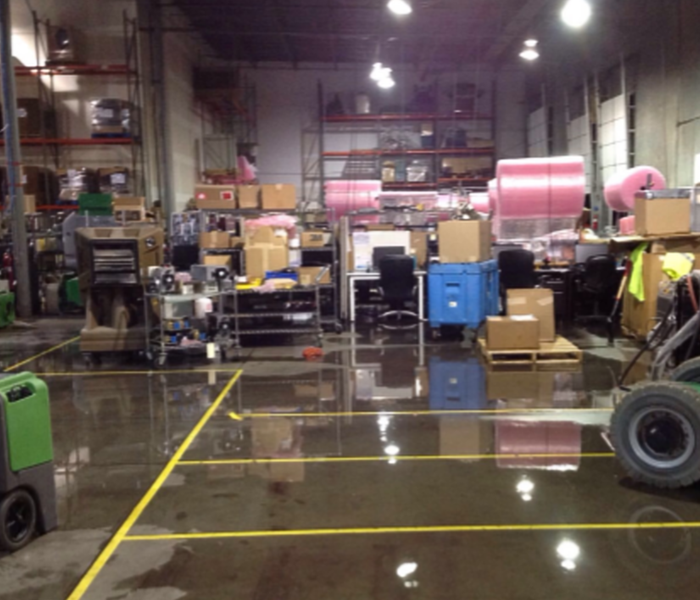 Sometimes water damages occur in the most inconvenient of places, for example a warehouse. These type of jobs need to done quickly and efficiently in order to ensure there is no further damage to the contents and that the company get back to work quickly. Here is a picture of a job in the middle of the restoration process. The wet walls have been removed, but the area has not yet had the dehumidifiers and air movers added to reduce the moisture. 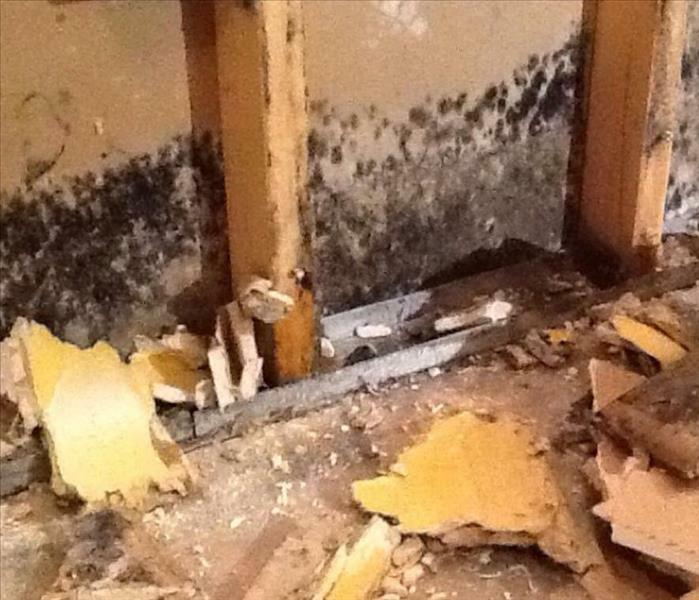 Mold in bathrooms is a common problem in almost every home. Darkness combined with excessive moisture provides the perfect conditions for consistent mold growth. 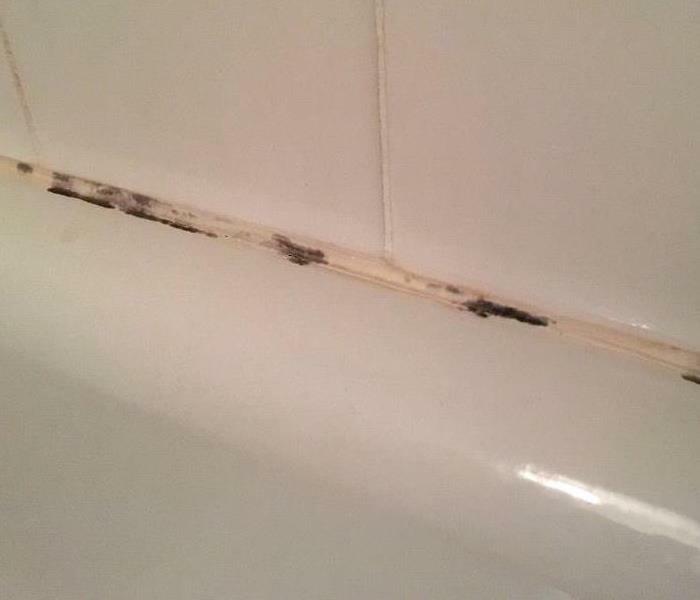 If you are consistently experiencing mold in your bathroom, regardless of how often you clean, then you may have a larger, hidden growth problem. In August, Hurricane Harvey dumped an estimated 27 trillion gallons of water across Texas and Louisiana. When our storm team traveled south to assist with the cleanup it was not only water they had to deal with. 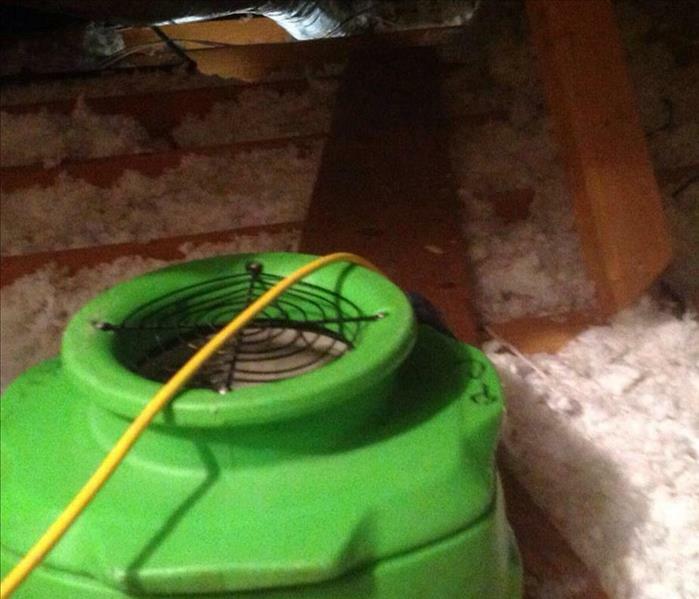 The heat and excess moisture provided the perfect conditions for mold growth in many places. 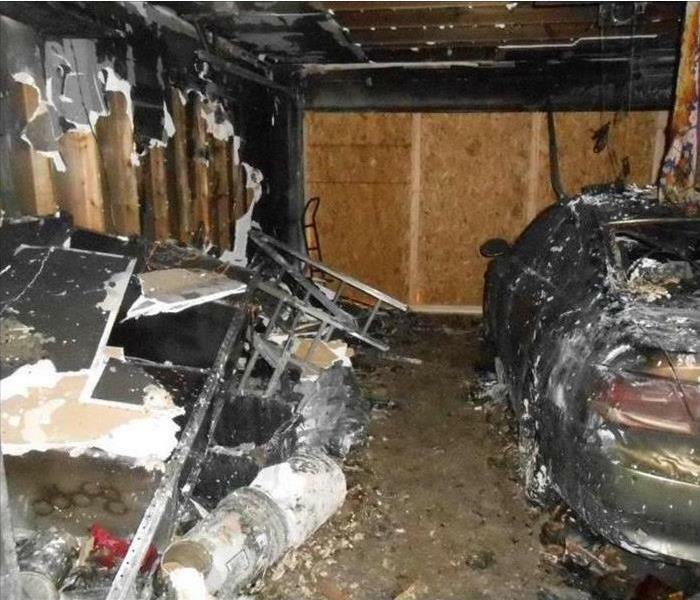 Fire's can often cause messes in more ways than you would think. 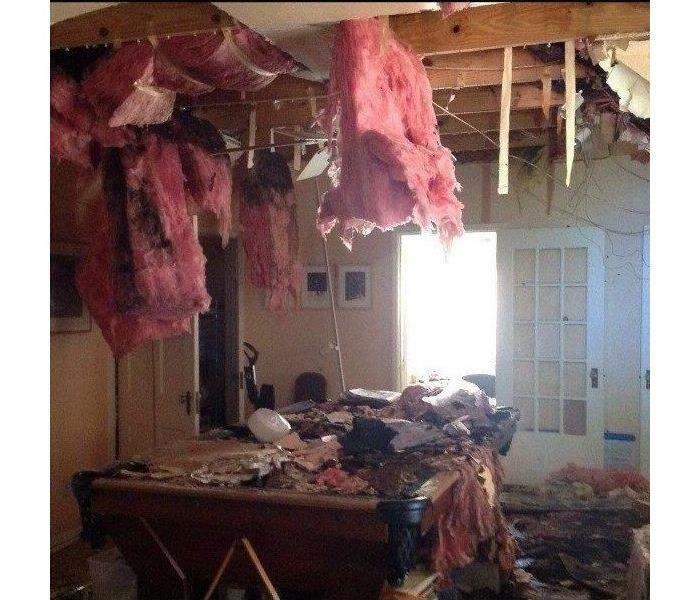 Not only is there typically smoke damage and burned materials to deal with, but there can also be some water damage or even chemical residue. 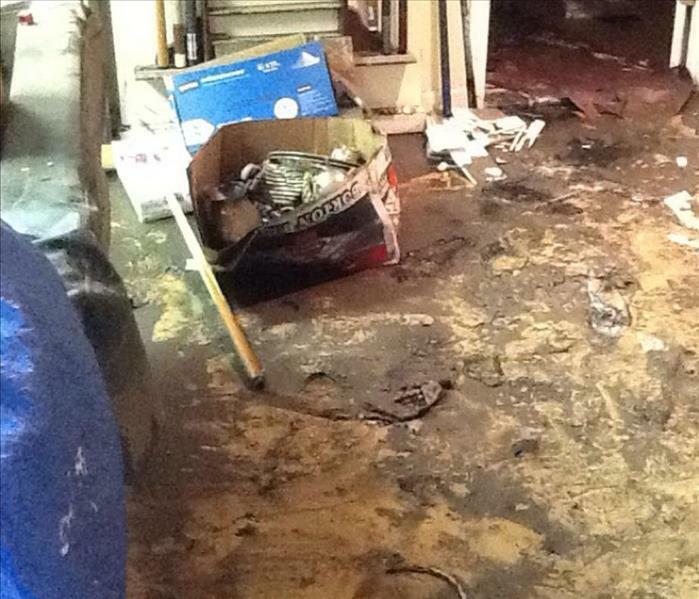 We received a call about flooding in a basement. Our team of highly trained professionals came in, set up the proper equipment, and did what we do best: make is seem "Like it never even happened". See our Before and After tab for the results. 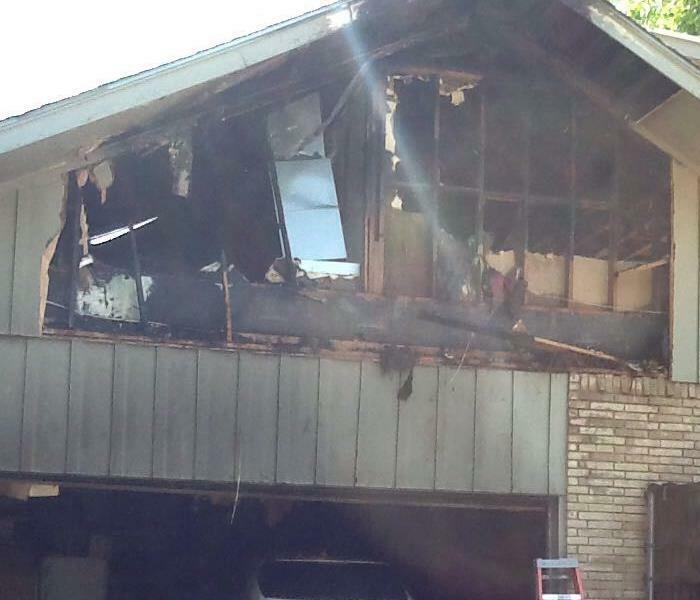 Garage in Dallas, TX has some serious fire damage. 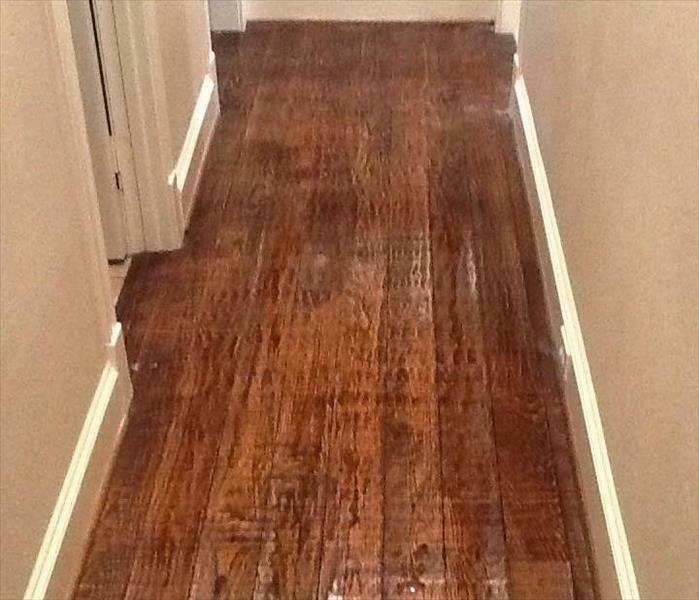 Check out our Before and After tab to see the results after our highly trained team came in and did their job. You see how the light reflects perfectly onto the floors, like if it was a mirror? The floors are covered in standing water. Look at our Before and After pictures to see the after photo of this water loss. 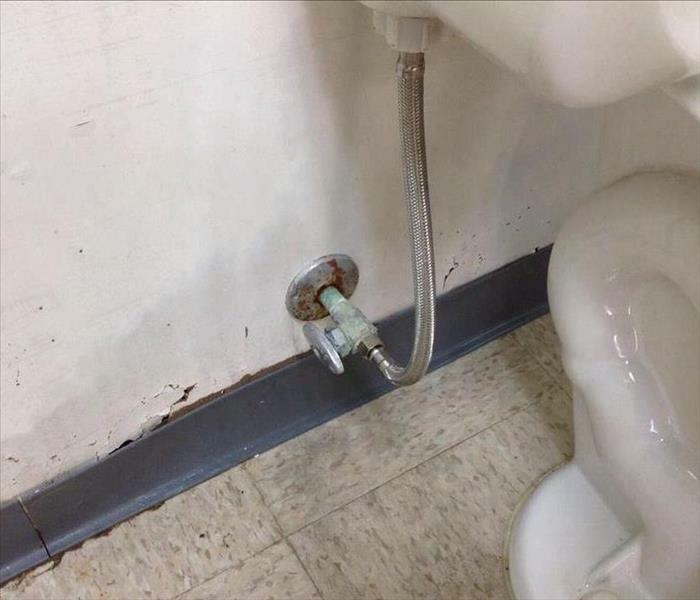 It can be a simple, small pipe behind the toilet to cause a disaster. This small pipe busted behind the wall. 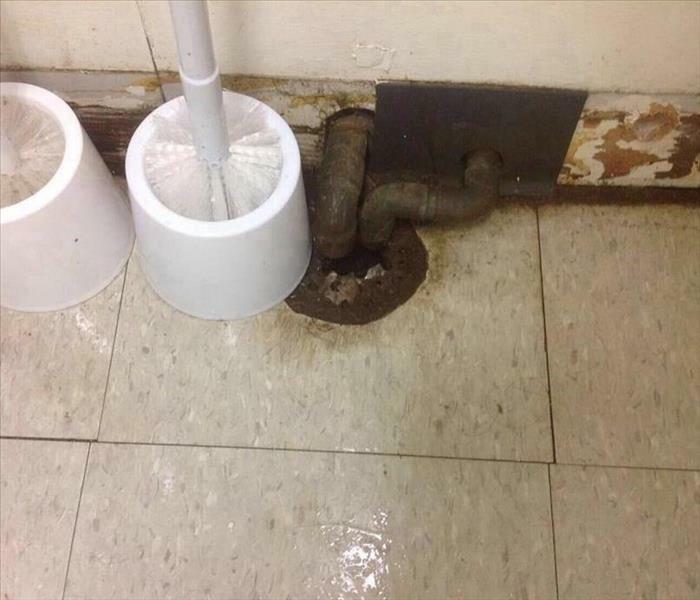 Cut out was needed to fix the pipe. We set air movers and dehumidifier to dry behind the wall and create a hot environment to dry in our set time of 3-4 days. What storm events have we been part of? We don’t help only storm events in Texas. We will go anywhere in the country to help out at storm events. 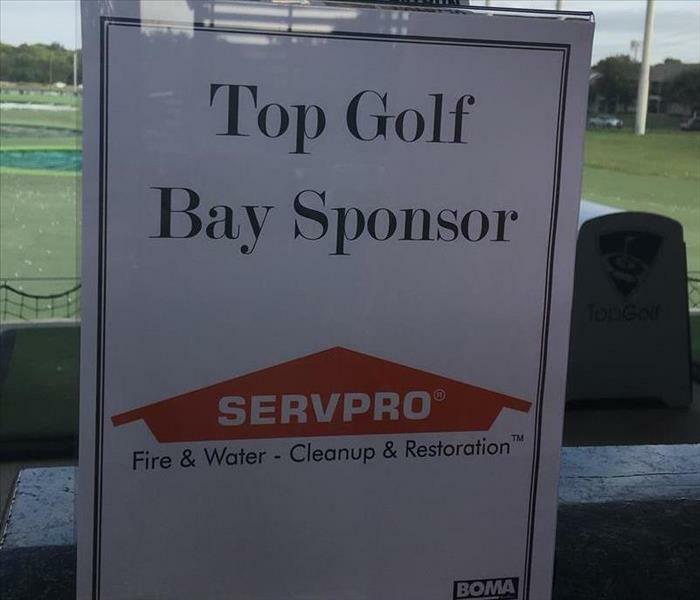 SERVPRO was at the Florida storms, Detroit floods, Chicago floods, Sugarland storms, and Oklahoma storms. Where we are needed, we go. We don’t only use air movers and dehumidifiers when working a storm event. We use larger equipment to move forward more quickly and have everything to normal status faster. Our franchise has access to desiccants, portables and dragons. Extracting and drying in a larger scale made easier. When there is a storm, like the Detroit Floods in 2014, we call to all the storm teams available in the country to come help. Our franchise has a storm team in place and we were called out to help in Detroit. 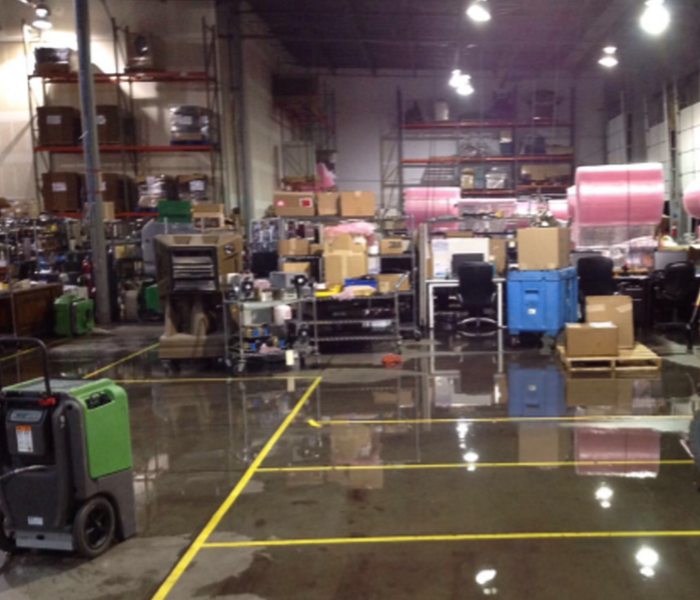 Our process included demoing, setting air movers and pack outs. There was the Great Flood of 2014 that hit Detroit. Our franchise has a storm team set up and we were called to help out in Detroit, Michigan. 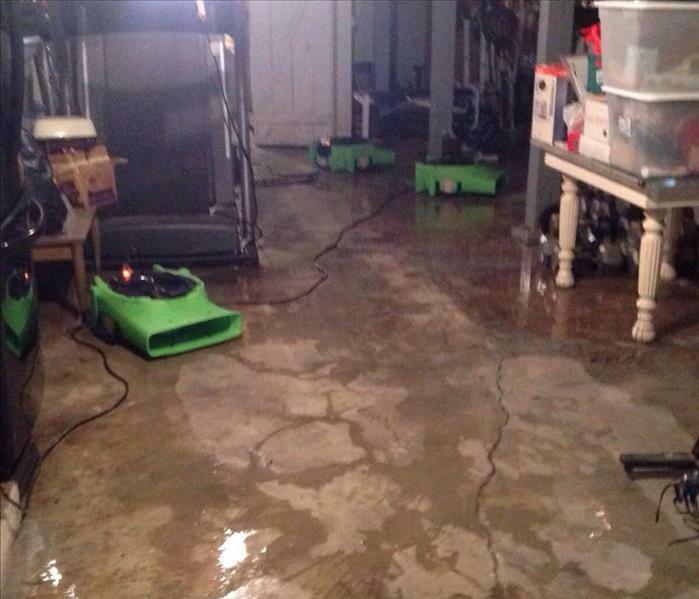 Basements and homes were flooded with a record high rainfall, 6 inches in 12 hours. It is as simple as a small drip drop coming from a small crack in the ceiling. Or a small leak coming from the back of the refrigerator, mold can grow where there is moisture present. It takes 48 hours after for mold to be present. 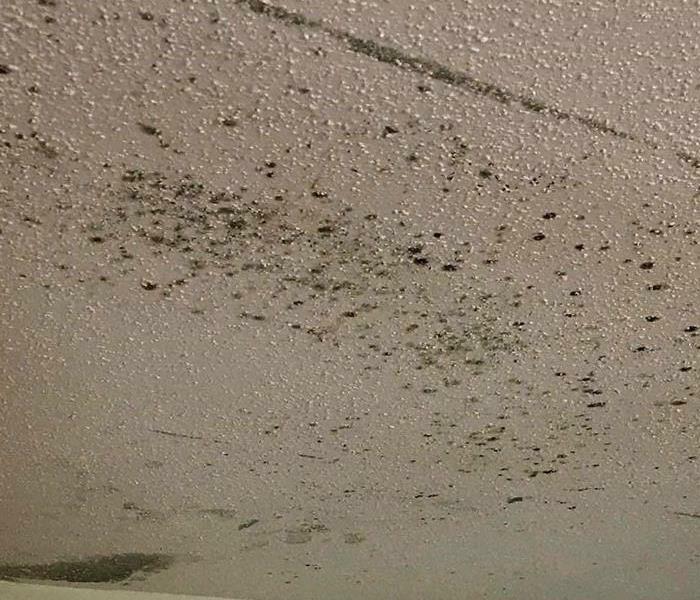 When mold is present in your home, call us, SERVPRO of North Garland and we will remediate that for you. 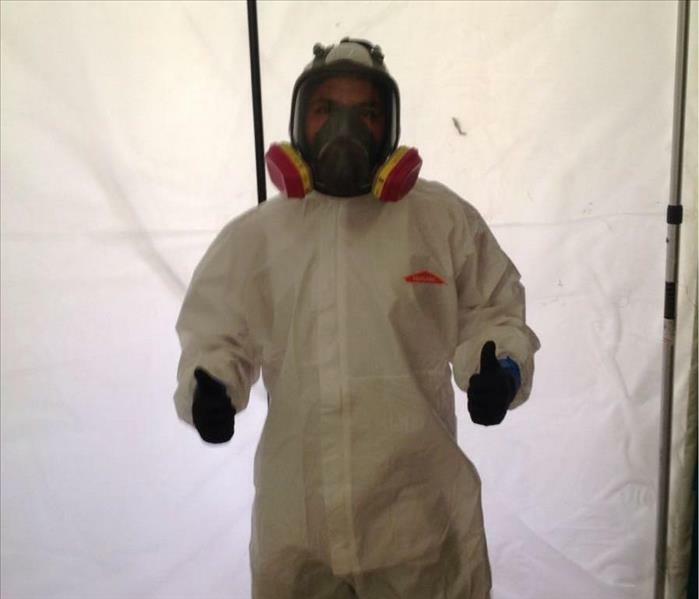 All crew members must wear personal protective equipment when working with mold or any biohazard material. This, as well as the chamber, is part of state protocol we follow to remediate mold. It is protocol to secure the area where mold is present to prevent it from joining the air and spreading around the rest of the house. This is what a chamber looks like and only certified mold specialist are allowed to enter. This was the aftermath of a storm in Detroit, 2014. What you see is mold. Mold grows where there is moisture present. Our storm team was called to help and being mold certified, we assisted the owner with mold remediation. 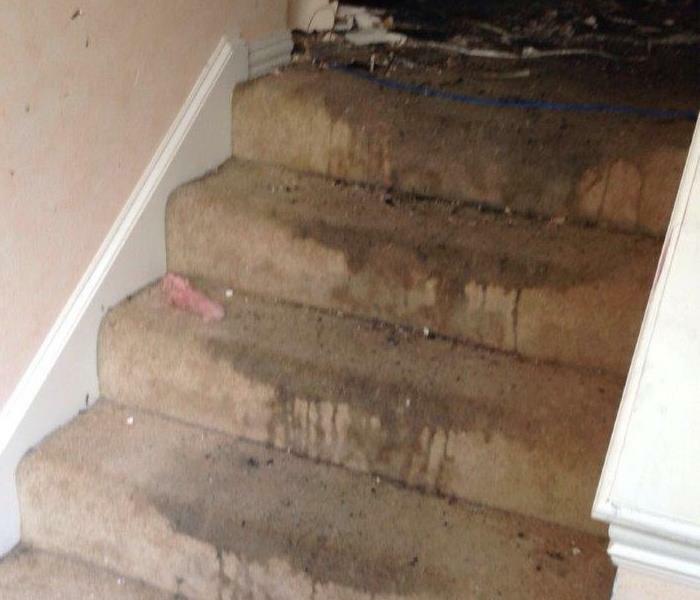 This was the aftermath of a house fire where we arrived on the scene. There was significant damage caused to the home. The family couldn't believe how quickly the fire could spread. 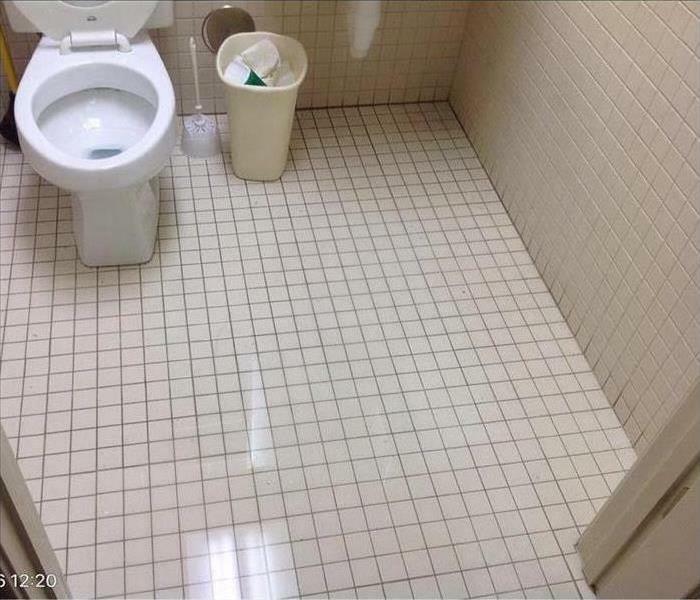 We demoed and brought in a contractor to help us make it look "like it never even happened." There are fires that start out small and turn into a huge disaster. That happened to this family. 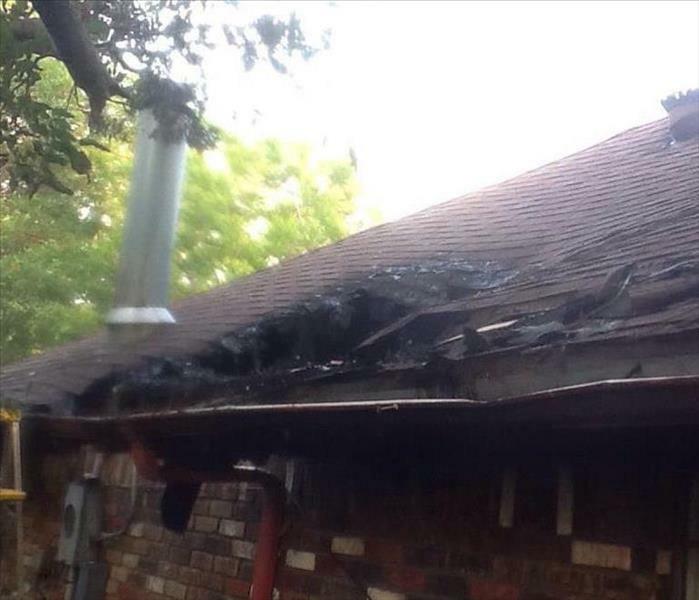 Small fire turned big and damaged the roof of their home. SERVPRO came in and cleaned, demoed what was needed, and brought in a roofer to finish the job. After extinguishing a fire, we focus on what was damaged and not what was affected from the fire. Look at the ceilings of the damaged area and soot will be around. SERVPRO comes out and cleans the soot so it doesn't leave residue and looks "Like it never even happened." 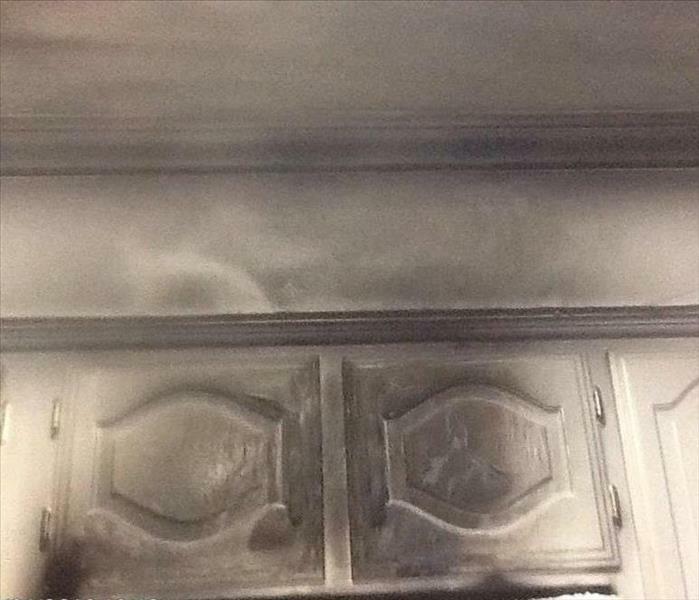 Fire can start from anywhere in the house, especially the most used area of a home: the kitchen. 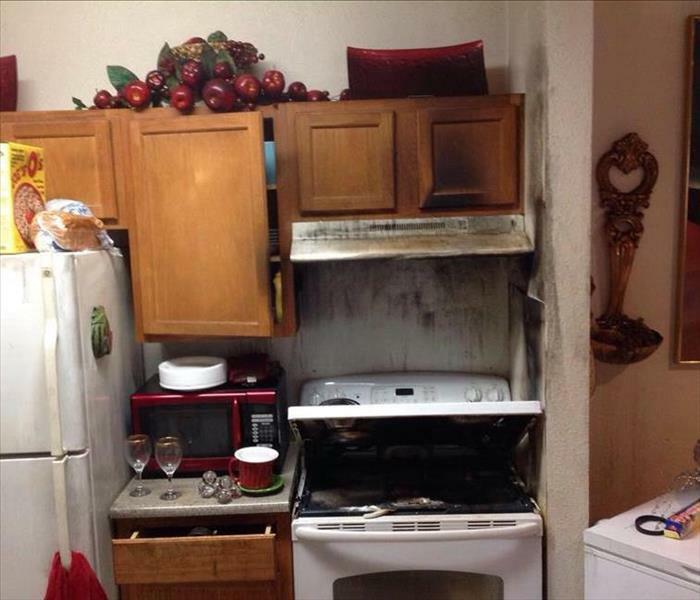 This fire started from the stove of this home and luckily it didn't expand. SERVPRO does soot cleanup and deodorization to make it look "like it never even happened." Schools also get water damage. 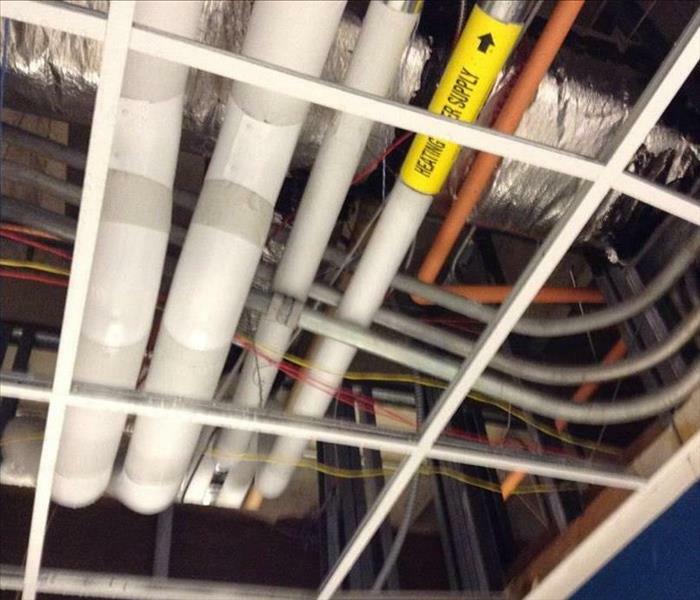 This high school in Garland, TX had a pipe broken and ceilings, walls and floors were affected. We placed the necessary equipment so everything was dry and look "Like it never even happened." As we know, fires can start from anything, but they mostly start in the kitchen. 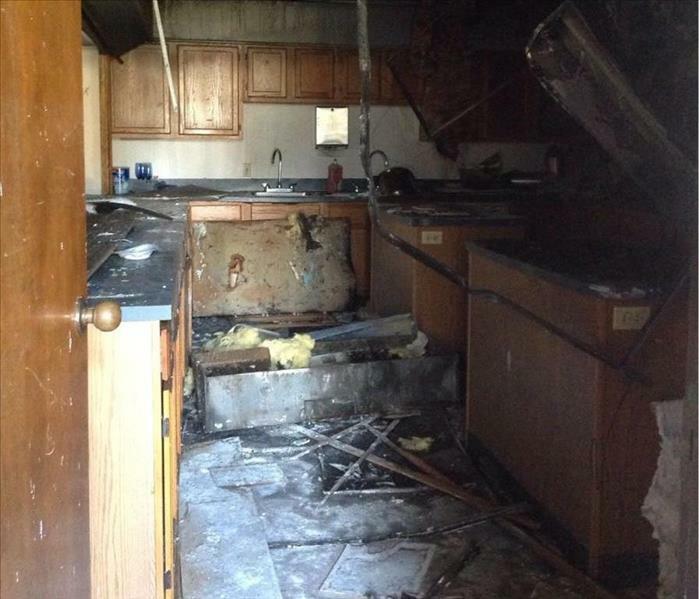 This church had a fire that started in the kitchen and it affected the whole property. We restored what was damaged by fire and cleaned the air ducts to remove the smoke odor. If a commercial site has an ERP, or the Emergency READY Profile, with our franchise, we are one of the first calls made when a disaster hits. We were the first call to this commercial site. Because they had an ERP done, we knew exactly where everything was and who were the ones in charge. When there is standing water in any area of a house or commercial site, there is risk of the baseboards getting saturated. 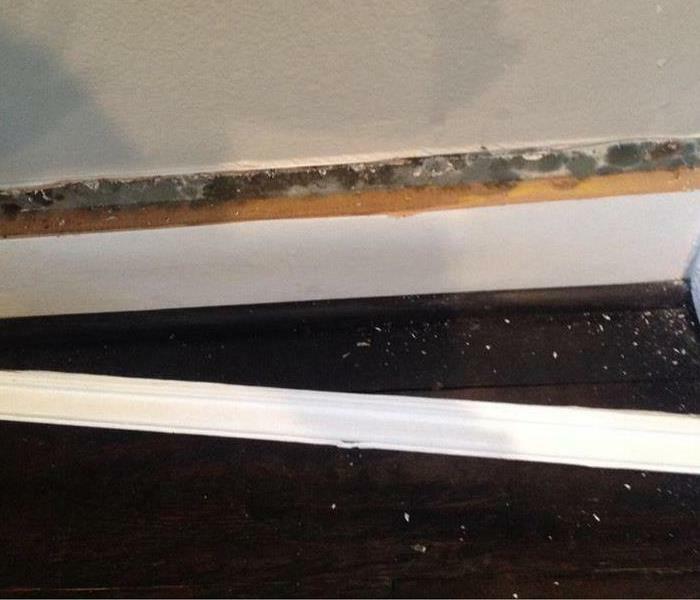 Once baseboards are saturated, it becomes more difficult to dry the walls and the studs behind them. At that point we remove baseboards and dry directly in that area. That was the case at this commercial site. 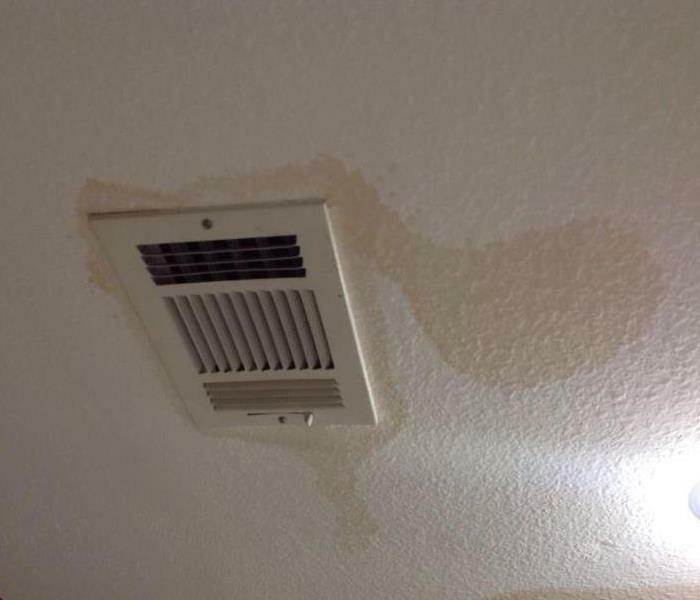 We don’t think about what causes a water damage until we have one. This commercial site unexpectedly got a water damage and it was all caused by this pipe that froze overnight. Our team was called and we extracted, cleaned and sanitized. This site is now looks like nothing ever happened. Marc, North Garland Representative, and Andrea, Marketing Support Coordinator attended the ACTion Walk / 5K Run event on 10/22/2016. We were so honored to be part of this wonderful and amazing event! 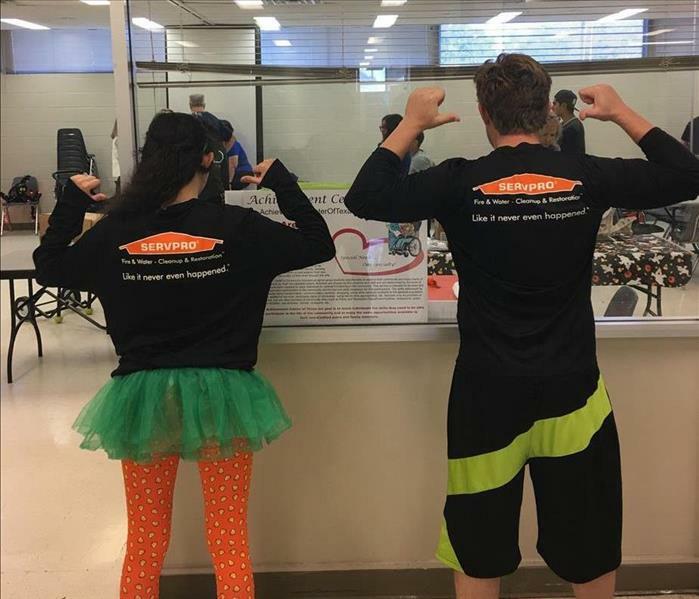 This weekend, SERVPRO of North Garland sponsored and attended the ACTion Walk / 5K Run to help out the Achievement Center of Texas. 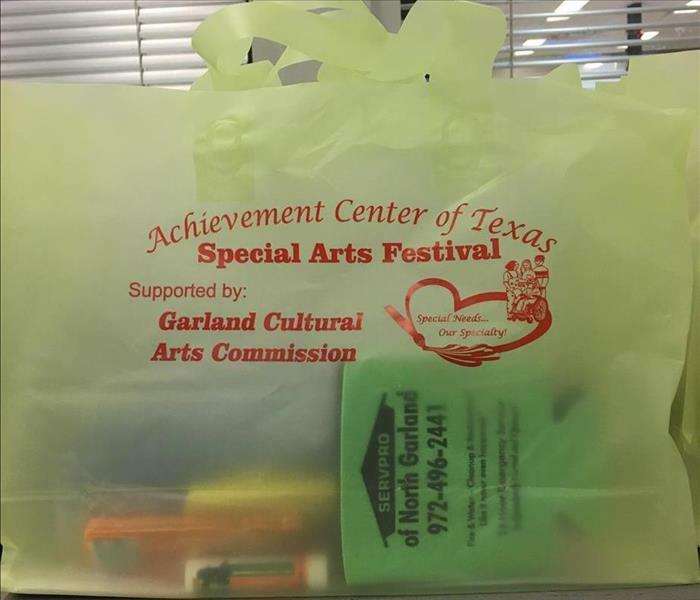 We were Walk and Goody Bag Sponsors. SERVPRO of Park Cities was a proud sponsor of the BOMA of Dallas Top Golf Networking Event this past week. When there is good weather, we find a way to play golf. SERVPRO of Park Cities had a team of 6 playing at the BOMA of Dallas Top Golf Networking Event. John, our Park Cities Commercial Representative, and Brandon our Park Cities Representative, were part of the team as well. Can you tell how much fun they're having? 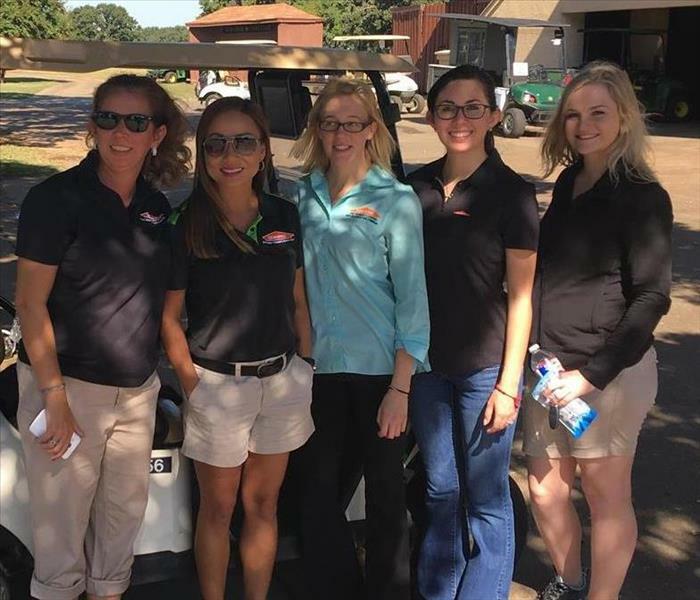 Some Marketing Support Coordinators from different franchises got together for some golf tournament fun. SERVPRO of Plano, SERVPRO of Northwest TX, SERVPRO of Lake Arlington, SERVPRO of Park Cities/North Garland, and SERVPRO of Mesquite/Kaufman County/Cedar Creek Lake.